Perhaps unsurprisingly, “Blockchain” became the buzzword of the year in 2018. That’s not bad for a backend technology that’s invisible to the end user and that many still struggle to characterise. What’s exciting about blockchain, though, is that, as the Economist stated, it enables an economy wherein trust is not established by a central authority, but by complex computer code. Yet, although blockchain can bring a single version of the truth back into fashion, it’s not anarchic. This is both welcome and useful in platform economies in which individuals and businesses transact online without the need (or desire) for central authority. Touted by many as the most disruptive technology in decades, blockchain has been slowly moving through the adoption curve. After the initial uber-hype, we’re now ready to have a more mature discussion about blockchain’s true potential. And, judging by current enterprise investments in distributed ledger technology, we’re somewhere between proof-of-concept and early adoption; but, the key question is whether future growth will be exponential or linear. Total current spend on enterprise blockchain technology is estimated to be US$1–2 billion, which is significant but not huge. To achieve adoption at scale, blockchain will need to convincingly outperform those very technologies it aims to replace; that means primarily prove that is it cost effective. Whereas existing relational systems, databases and cybersecurity tools may need upgrading, they are far from dead … and blockchain is certainly not the panacea for all broken systems. Furthermore — despite being increasingly well understood by senior executives in many industries — it’s not yet a fully mature technology. Building blockchain-enabled ecosystems requires willing and able parties to co-operate in a (pre)competitive environment and commit to significant investments. Going forward, more emphasis will need to be placed on building compelling business cases and understanding both consensus mechanisms and change management efforts. Cryptocurrencies aside, disruptive blockchain-based business models will take some time to reach fruition, and we should remain mindful that it took more than a decade for Amazon, Facebook and Google to emerge as disruptive and dominant Internet businesses. We may not see head-turning progress in 2019, but the next 5 years look very promising indeed. Will blockchain align incentives for healthcare data exchanges? Blockchain adoption in healthcare is both growing and, at the same time, hindered by hyper-fragmentation and the misalignment of incentives that have been afflicting the industry for decades. According to blockchain enthusiasts, there seems to be virtually no healthcare challenge that cannot be addressed through distributed ledger technology. Blockchain will eliminate data exchange barriers and finally put patients in control of their data; as information starts to flow more freely and securely, the Big Healthcare Data dream and the potential of AI-driven discovery and research will become a reality. Furthermore, through anonymised access to medical records and patient-generated data, pharmaceutical companies will find it easier to recruit and consent patients into clinical trials, report and share results, co-author protocols and file regulatory submissions. At the front end, when combined with sensors and wearables, blockchain will allow for secure, transparent and traceable real-world data collection, performance tracking and, through the mechanism of “smart contracts,” outcomes/value-based payments will finally spread like wildfire. It is indeed a truism that healthcare data is growing exponentially, and that it’s still dispersed, siloed, generally of poor quality and of little clinical use if taken out of context. What most healthcare players are less keen to admit is that they still have little incentive to share data with each other. As blockchain is immutable, almost non-hackable and allows for (semi)anonymous, transparent and traceable data sharing, it could drive new transactions and value exchanges between parties. It’s less clear, however, why organisations whose competitive advantage is predicated on collecting, aggregating and analysing sensitive data would voluntarily release this information. Take the emerging space of -omics data exchange, for instance; individuals are increasingly aware of the value that personal genomic data has to research organisations and pharmaceutical companies pursuing precision medicine. Yet, it can be quite challenging to collect, share, access, aggregate and analyse such data. And although tokenisation and smart contracts might mobilise the idle data sitting with individuals and within organisations — and offer new monetisation opportunities — one rate-limiting factor remains: the quality of the data and the need for commonly agreed standards between parties. Blockchain is a transactional system — unlike machine learning systems — which means that it needs a very granular, specific and orderly data set, as well as strong data science, to work smoothly. If the data is poor, there’s little point having a blockchain. Luckily or unluckily, the regulatory environment will continue to force a certain level of standardisation across the pharmaceutical industry. Initial blockchain deployments in the pharmaceutical industry have been encouraged by track and trace regulation and are building on the serialisation efforts that began several years ago. Supply chain management is, of course, a key area of focus; pharma has a strong interest in making the highest quality claims, including provenance of materials to support their medicines. Members of the supply chain ecosystem (drug manufacturers, distributors, retailers, hospitals) are now forming blockchain consortia. 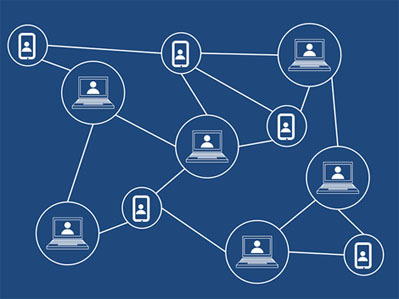 Combined with sensor technology, the Internet of Things, and serialisation, a unified blockchain system could allow for more streamlined, transparent and consistent supply chain management; it could help with forecasting product flows and would allow for better quality controls and verification of the provenance of medicines and materials, more timely recalls, and prevent both counterfeiting and product theft. There’s no doubt that pharma has come a long way but, in terms of blockchain, is still in the discovery phase. The Pistoia Alliance, a global, not-for-profit alliance that works to lower barriers to innovation in life sciences R&D, has recently reported the result of a survey indicating that 60% of pharma and life science professionals are experimenting with blockchain; yet, just less than half have no concrete plans to implement and scale. For blockchain to be built and deployed across an entire ecosystem, participating parties need to first agree on rules that govern their transactions; this, in turn, means they have to establish common standards, consensus protocols and governance structures, which takes time, money and effort. It’s understood that bringing parties together and getting them to agree on how to build and scale blockchain-enabled platforms is difficult. Also, blockchain deployments may require legacy IT systems to be upgraded — and that’s seen, on one hand, as costly, risky and disruptive by business leaders and IT department alike; on the other, sunk cost of recent IT investments may hinder an organisation’s appetite to invest behind comparable/similar initiatives. A collective upgrade in infrastructure might very well be needed before blockchain can really take off. Given that different healthcare organisations are at different stages in their digital transformation journey, it’s hard to envision, at this stage, one unified blockchain system serving the entire healthcare/pharma industry ecosystem. It’s much more likely that multiple permissioned private blockchain systems will emerge alongside some public ones. This could indeed frustrate the very aspiration of reducing fragmentation and improving cost-efficiencies across the industry. Furthermore, blockchain technology still suffers, in its public incarnation, from performance issues compared with other systems and it is not necessarily energy efficient. To reach consensus on benefits and standards, industry wide initiatives and collaborations are critical and, indeed, starting to happen. What will be equally critical is that participating parties strike the right balance between reaching consensus and advancing projects at pace. Technology will not wait; and, eventually, a good platform might very well emerge from outside consortia and attract users. Although the initial pharma blockchain deployments have been in the supply chain, the next frontier might be clinical trials. 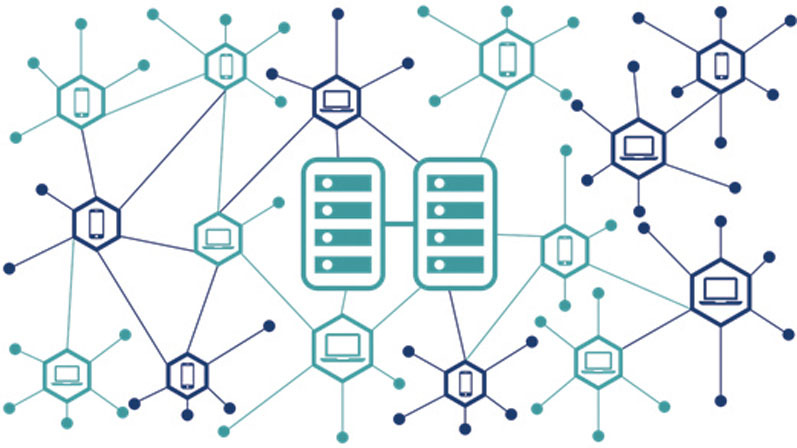 The most innovative companies are piloting blockchain technology to track and trace investigator payments, to secure the provenance of clinical supplies, approve clinical trial protocols, collect real-world evidence, engage with patients, report adverse event to regulators and disseminate medical information; these are all areas of significant potential in which data integrity, security, accuracy, transparency, traceability and privacy are paramount. One day, through blockchain, tokenisation and smart contracts, pharmaceutical companies may even pool, mobilise and trade all the data collected through clincial trials with each other and research organisations to advance medical science … but we’re several years away from that at the moment. In the near future, pharma blockchain adoption will be slow, partial and differential. Pharmaceutical companies will, on one hand, keep an eye on start-ups building blockchain platforms and continue to perform select experiments; on the other, blockchain adoption across the pharmaceutical industry will advance through consensus-driving consortia. These will see Big Pharma, Big Health Systems, Big Wholesalers and Big Retailers joining forces. It will take time for parties to agree on the rules of the game and engage with regulators; but, ultimately, this will establish common standards and lay the foundations for industry wide adoption. This article will appear in the May issue of Manufacturing Chemist. The April edition is available here.